Salads aren’t just for summer, a great fall salad is also very delicious. 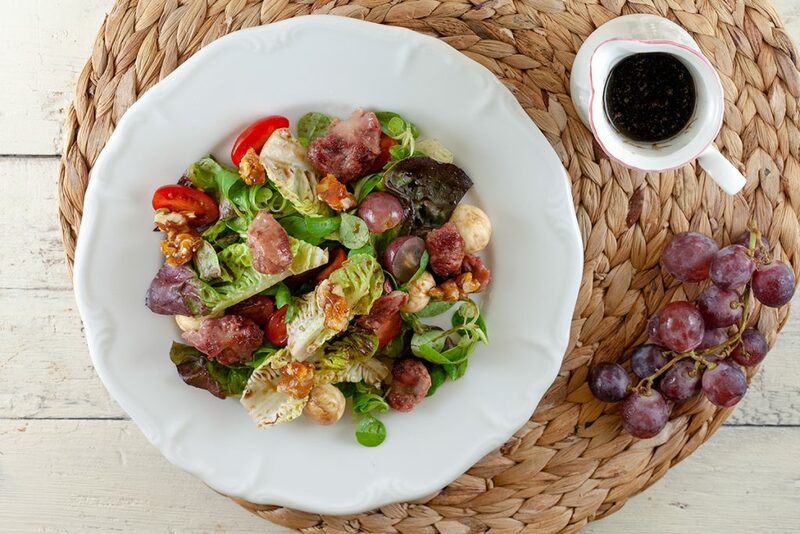 Try this salad with mozzarella, grapes and molasses dressing. 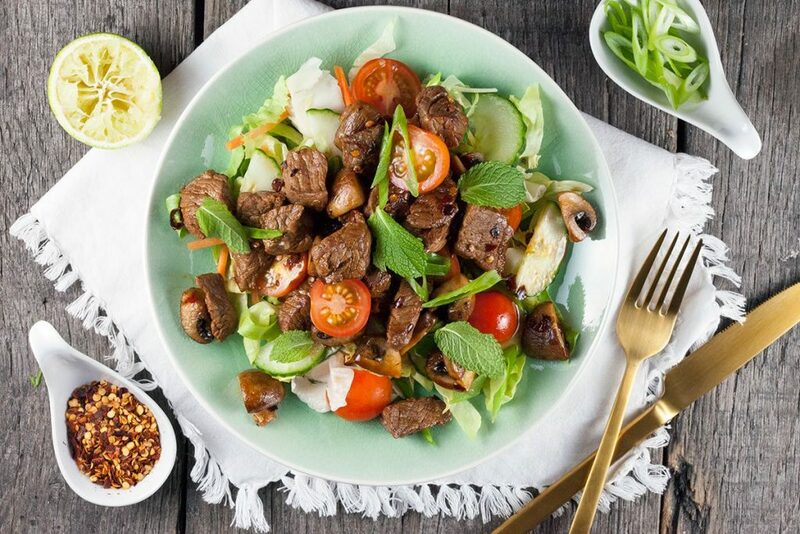 A delicious and easy Thai beef salad, a little bit spicy and refreshing at the same time. Add some chestnut mushrooms for an autumn feeling.